Supreme Court nominee Neil Gorsuch has been considered by many to be a saving grace for religious liberty, as scores of conservatives have publicly praised President Donald Trump’s decision to select him to replace deceased Justice Antonin Scalia. 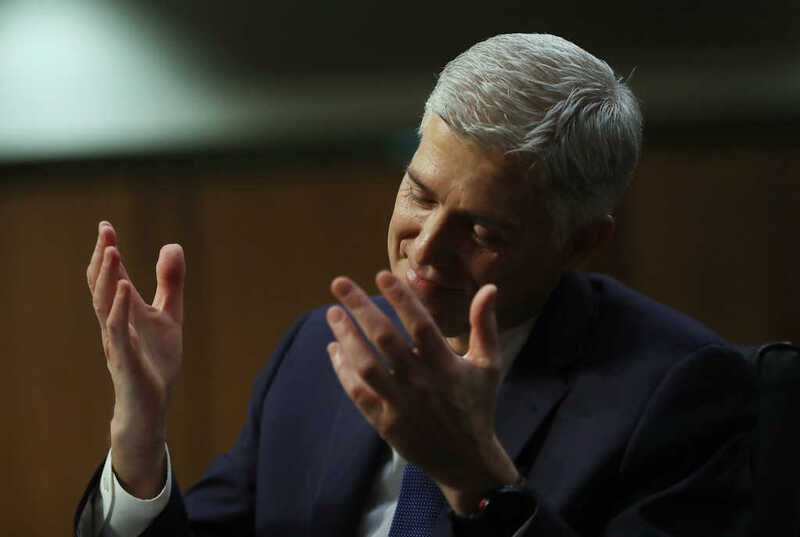 But questions have since emerged about Gorsuch’s faith, with critics speculating about the true nature of his Christian worldview and theological perspective, as he attends a supposedly “liberal” Episcopal church, despite his Catholic upbringing. Even Gorsuch’s brother, JJ, told CNN that he’s not sure which category — Episcopal or Catholic — his brother would fall into. Either way, it’s clear that faith plays an important role in the judge’s life. While questions remain, there are some noteworthy facts that are definitively known about Gorsuch. To begin, he was raised by a staunchly Catholic mother, but has reportedly attended St. John’s Episcopal Church in Boulder, Colorado, for the past 15 years. It’s a church that is “politically liberal,” according to CNN, with the outlet noting that gays and lesbians are welcome there — and that guns are banned from the church campus. That said, the church’s head pastor, the Rev. Susan Springer, told CNN via email that St. John’s has members who are liberal, conservative and at all other political points in between. Growing up, Gorsuch went to Catholic church weekly with his siblings and even attended Catholic schools; later, he married his wife, Louise, who is British and was raised in the Church of England, the mother church of the Episcopal Church in America. According to CNN, the Gorsuches were members at an Episcopal Church in Virginia known as Holy Comforter from 2001-2006; while there, though, Gorsuch was still registered on paper as a Catholic. The family later joined St. John’s when they moved to Colorado. Considering the vast theological differences between Catholic and Episcopal theology, some have come to question whether Gorsuch will be the savior to religious liberty that some have framed him to be. Conservative commentator Todd Starnes, among others, has spoken out with concern. Others have raised similar questions, though much of these elements are speculative. The reason Trump chose Gorsuch is due to his past decisions on the bench — and scores of Christians and conservatives have actually praised his nomination, pointing back to his past decisions in making their case. As Faithwire previously reported, Gorsuch attended Columbia University and Harvard Law School, and is described by NPR as a “reliable conservative,” who is diplomatic and a good listener; he currently serves on the United States Court of Appeals for the 10th Circuit. And, as it turns out, he has ruled on important religious freedom cases, including Hobby Lobby Stores v. Sebelius and Little Sisters of the Poor Home for the Aged v. Burwell. “Some of the most high-profile cases in which Gorsuch has cast a vote have involved the religion clauses of the Constitution (those prohibiting the establishment of religion and creating a right to free exercise), as well as congressional statutes expanding protection for religious adherents (known as RFRA and RLUIPA),” the SCOTUS blog reported. It should be noted that Gorsuch also published a book in 2006 titled, “The Future of Assisted Suicide and Euthanasia.” It’s “the most thorough overview of the ethical and legal issues raised by assisted suicide and euthanasia — as well as the most comprehensive argument against their legalization — ever published,” according to an Amazon description. You can read more about the debate over Gorsuch’s faith here.